The discovery of bi-allelic mutations in the RORC (retinoic-acid-related orphan receptor C) gene in patients with candidiasis and mycobacteriosis has revealed the pivotal role of RORC in mucocutaneous immunity to Candida and in systemic immunity to Mycobacterium in humans. Inborn errors of human IL-17 immunity underlie chronic mucocutaneous candidiasis (CMC), which is characterized by chronic or recurrent infections of the skin, nails, and oral and genital mucosae by Candida albicans, and inborn errors of human IFN-gamma immunity underlie Mendelian susceptibility to mycobacterial disease (MSMD), a rare congenital disorder characterized by susceptibility to infections by poorly virulent intracellular pathogens such as non-tuberculosis Mycobacterium. Five genetic etiologies of CMC and eighteen genetic etiologies of MSMD have been reported so far. Only a few patients were affected by both candidiasis and mycobacteriosis, including some patients with IL-12p40 and IL-12R-beta-1 deficiencies that impair both IFN-gamma immunity and IL-17 immunity. The new study was published online on July 9, 2015 in Science. 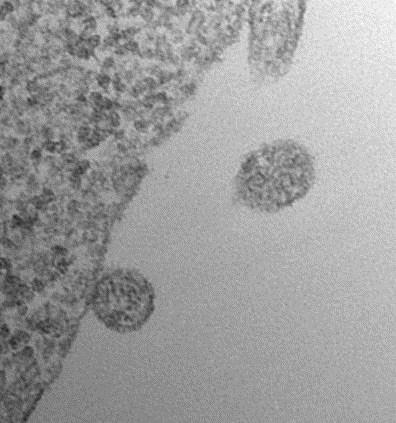 The article is titled “Impairment of Immunity to Candida and Mycobacterium in Humans with Bi-Allelic RORC Mutations.” In an international collaboration study with St. Giles Laboratory of Human Genetics of Infectious Diseases at the Rockefeller University in New York City, researchers at Hiroshima University identified bi-allelic mutations in RORC, which encoded RORgamma (image) and RORgammaT, in seven patients from three kindreds of diverse ethnic origins, with an unusual combination of candidiasis and mycobacteriosis. RORgammaT is a well-known key transcription factor of Th17 cells, which produce IL-17 and IL-22. A new technique that uses light to activate chemotherapy drugs in specific cells shows promise as a way to improve the effectiveness of cancer therapies while preventing severe side effects, according to a study published online on July 9, 2015 in Cell. 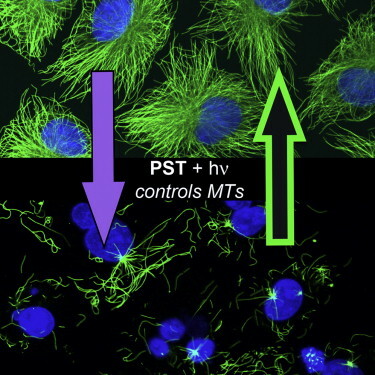 Tha article is titled “Photoswitchable Inhibitors of Microtubule Dynamics Optically Control Mitosis and Cell Death.” The so-called “photopharmacology” approach could be used to treat a broad range of tumors with unprecedented precision simply by making existing cancer drugs sensitive to light--an approach that requires less time and effort compared with traditional drug discovery programs. "We hope that our compounds will one day be used in medicine to deliver a killer blow to many types of localized cancer tumors, without producing side effects, thus improving on standards of care and also providing chemotherapy options for currently untreatable tumors," says co-senior author Dr. Oliver Thorn-Seshold of Ludwig-Maximilians-Universität München in Germany. Some of the most successful and widely used chemotherapeutic drugs are inhibitors that interfere with the function of microtubules--components of the cell's skeleton that play a key role in cell proliferation, migration, and survival. But because these drugs do not specifically target cancer cells, they also interfere with the function of normal cells and cause severe side effects, such as heart and nerve damage. As a result, microtubule inhibitors are often limited to relatively low doses that do not provide the best therapeutic benefit. To overcome this challenge, Dr. Thorn-Seshold and his collaborators developed a method for optically controlling microtubule inhibitor drugs currently in clinical trials, with high spatial precision. A suite of energy-saving traits, including underactive thyroid glands, allows giant panda bears to survive almost exclusively on bamboo, according to a new study. Dr. Yonggang Nie and colleagues report the first measurements of daily energy expenditure (DEE) in these bears, which do not have stomachs designed for such low-nutrient, high-cellulose plants. The work was published in the July 10, 2015 issue of Science. The article is titled “Exceptionally Low Daily Energy Expenditure in the Bamboo-Eating Giant Panda.” The researchers studied five captive pandas and three wild ones, discovering that the animal's DEE was just about 38% of the average for a terrestrial mammal with the same body mass. The DEE values for giant pandas are substantially lower than those for koalas, for example, and more akin to those of three-toed sloths, according to the researchers. Dr. Nie and colleagues used GPS loggers to track the bears and found that giant pandas are much less active than other bears. Further research revealed that the animal's brain, liver, and kidney are relatively small compared to those of other bears, and that the giant panda’s thyroid hormone levels are only a fraction of the mammalian norm -- comparable to a hibernating black bear's hormone levels. Finally, the researchers compared the giant panda genome to those of other mammals, identifying a panda-specific variation on the DUOX2 gene, loss of which is associated with underactive thyroids in humans. Taken together, these results suggest that particularly low energy expenditures and low thyroid hormone levels enable the carnivorous-looking panda bears to surviving by simply munching on bamboo all day. A key set of immune cells that protect the body from infection would be lost without directions provided by vitamin A, according to the results of a recent study. A team of researchers from Purdue University found that retinoic acid, a metabolite that comes from digested vitamin A, is necessary for two of the three types of innate immune cells that reside in the intestine to find their proper place. "It is known that vitamin A deficiencies lead to increased susceptibility to disease and low concentrations of immune cells in the mucosal barrier that lines the intestines," said Dr. Chang Kim, the Professor and Section Head of Microbiology and Immunology in Purdue's College of Veterinary Medicine who led the research. "We wanted to find the specific role the vitamin plays in the immune system and how it influences the cells and biological processes. The more we understand the details of how the immune system works, the better we will be able to design treatments for infection, and autoimmune and inflammatory diseases." Within the immune system there are two categories of cells that work together to rid the body of infection: innate immune cells, the innate lymphoid cells and leukocytes that are fast-acting and immediately present to eliminate infection; and adaptive immune cells, the T-cells and B-cells that arrive later, but are specific to the pathogen and more effective at killing or neutralizing it. All innate immune cells are produced in the bone marrow, but eventually populate other areas of the body. Innate lymphoid cells, which include the group studied by Dr. Kim, are present in barrier tissues. While it is known that innate lymphoid cells are concentrated in the intestines, it has been unknown how these cells find their way there, Dr. Kim said. A new study by UCLA scientists adds to the understanding of the genetic architecture of schizophrenia. Past research has shown the impact of commonly occurring genetic variants on a person’s risk of developing schizophrenia. This new study focused instead on rare coding mutations that affect protein function. It found that people with schizophrenia have a higher-than-normal share of these mutations. “While we cannot point to specific mutations that play a causal role in schizophrenia, we show that schizophrenia patients, collectively, have more of these mutations than unaffected individuals,” said Dr. Loes Olde Loohuis, the study’s first author and a postdoctoral fellow at UCLA’s Center for Neurobehavioral Genetics. The Center is part of the UCLA’s Jane and Terry Semel Institute for Neuroscience and Human Behavior. The findings were published online on July 9, 2015 in an open-access article in Nature Communications. The article is titled “Genome-Wide Burden of Deleterious Coding Variants Increased in Schizophrenia.” “Genes that are affected by these mutations play a key role in fetal brain development,” said Dr. Roel Ophoff, the study’s senior author and a principal investigator at the Center for Neurobehavioral Genetics. “Our finding further supports the hypothesis that schizophrenia is a disorder that may originate during the early stages of brain development.” A professor of psychiatry and human genetics, Dr. Ophoff has conducted research on the genetic basis of schizophrenia for the past decade. He is also one of the founding members of the Psychiatric Genomics Consortium’s schizophrenia study group. The consortium is an international collaboration of researchers investigating the genetics of schizophrenia and related disorders. A new study led by a Kansas State University geneticist has shown that genomic signatures of adaptation in crop plants can help predict how crop varieties respond to stress from their environments. It is the first study to document that these genomic signatures of adaptation can help identify plants that will do well under certain stresses, such as drought or toxic soils, said Dr. Geoff Morris, Assistant Professor of Agronomy at Kansas State University and a researcher affiliated with the University's Feed the Future Innovation Lab for Collaborative Research on Sorghum and Millet. Researchers conducted the study with sorghum, one of the oldest and most widely grown cereal grain crops in the world. Sorghum is grown in Africa and Asia, as well as in some of the world's harshest crop-growing regions. More than 43,000 sorghum varieties around the world have been collected and stored in crop gene banks, which are centers that serve as repositories for crop diversity. "While sorghum is grown in some of the toughest climates in the world, we need to continue to increase the amount of grain it produces and its resilience to harsh environments because nearly half a billion people depend on sorghum as a staple food source," Dr. Morris said. "We want this important crop plant to produce more food and have less loss." Sampling from the crop gene banks, Dr. Morris and colleagues at Cornell University and the International Crops Research Institute for Semi-Arid Tropics, or ICRISAT, took "snapshots" of genetic information in the genomes of about 2,000 sorghum varieties. Because each sorghum variety was from a particular known location in an African or Indian village, the researchers were able to tie the genetic differences of each variety to its survival in a particular environment. With this data, Dr. Morris and colleague Dr. Ever wake at night needing a drink of water and then find your way to the kitchen in the dark without stubbing your toe? Researchers at the University of California, San Diego (UCSD) say they have identified a region of the brain that enables you to do that - and generally helps you navigate the world. Dr. Douglas Nitz, Associate Professor of Cognitive Science in the UCSD Division of Social Sciences, and graduate student Andrew Alexander worked with rats, also known as "navigational geniuses," recording the firing activity of neurons while the animals ran on a zigzag track in different locations, to show that the retrosplenial cortex appears to be critical in putting together all the information necessary for successfully getting from point A to point B. They describe their findings in a paper published online on July 6, 2015 in the journal Nature Neuroscience. The article is titled “Retrosplenial Cortex Maps the Conjunction of Internal and External Spaces.” The world we and other animals navigate is complex and non-linear, quite unlike the way a proverbial crow flies. The authors say our ability to get around its numerous indirect points depends, at minimum, on mapping our position within the environment, knowing routes that take us between locations, and an awareness of the correct actions to initiate at any given time: turn right, turn left, go straight. Currently, we know that cells encoding these different forms of spatial knowledge are stored in different neural structures. Place cells and grid cells are neurons in the hippocampal circuit that are responsible for mapping the position of an animal with respect to the broader environment. “Exosome Market Dynamics, Part 2” produced by Select Biosciences was published on July 9, 2015 by Genetic Engineering & Technology News (GEN). Authored by Gary Oosta, Ph.D., and Enal Razvi, Ph.D., this report represents the second of a series of three reports on the exosome marketplace that GEN plans on publishing. This second report is the Select Biosciences in-depth analysis of the association of various molecular entities — genetic elements, small RNA species (microRNAs), as well as traditional cancer protein biomarkers — with exosomes. These emerging associations are important because they provide an opportunity to explore the biomarker potential of exosomes and the potential deployment in the future of exosomes as circulating biomarkers class for biofluid/liquid biopsy development. According to GEN’s announcement of this second report, the key takeaways from the data and analysis presented are that there are very specific associations of molecular species with exosomes — indeed these are merely research associations and do not represent bona fide biomarkers because these research associations need to be validated across clinical samples in many studies for their potential utility as biomarkers to be harvested. With regard to the authors, Gary M. Oosta holds a Ph.D. in Biophysics from Massachusetts Institute of Technology and a B.A. in Chemistry from Eastern Michigan University He has 25 years of industrial research experience in various technology areas including medical diagnostics, thin-layer coating, bio-effects of electromagnetic radiation, and blood coagulation. Dr. Oosta has authored 20 technical publications and is an inventor on 77 patents worldwide. In addition, he has managed research groups that were responsible for many other patented innovations. 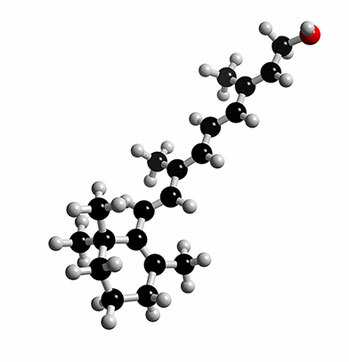 Dr.
On July 8, 2015, Aethlon Medical, Inc. (OTCQB:AEMD), the pioneer in creating affinity biofiltration devices to treat life-threatening diseases, announced that the Company's application to list its common stock on the Nasdaq Capital Market has been approved by The NASDAQ Stock Market LLC. Aethlon's common stock is expected to begin trading on the Nasdaq Capital Market at the opening of market hours on Monday, July 13, 2015 under its existing trading symbol, AEMD. "Trading on Nasdaq is a pivotal corporate milestone that will help raise the visibility of our therapeutic endeavors and increase the appeal of our shares to mutual funds, pension funds, and other institutional investors that may have previously been restricted from trading our shares," stated Jim Joyce, Chairman and CEO of Aethlon Medical. Aethlon Medical creates affinity biofiltration devices to treat life-threatening diseases. The company’s lead therapeutic candidate is the Aethlon Hemopurifier® (image), a first-in-class device that targets the rapid elimination of infectious viruses and cancer-promoting exosomes from the circulatory system of treated individuals. U.S. clinical progression of Hemopurifier therapy is being advanced under an FDA approved clinical study. The company also provides government contracting services to the Defense Advanced Research Projects Agency related to the development of a biofiltration device to treat sepsis. Also of note is that the start-up company Exosome Science, Inc. (ESI), is a wholly-owned subsidiary of Aethlon Medical, Inc. ESI creates diagnostic tools to detect and quantify the presence of exosomes in blood and other fluids.